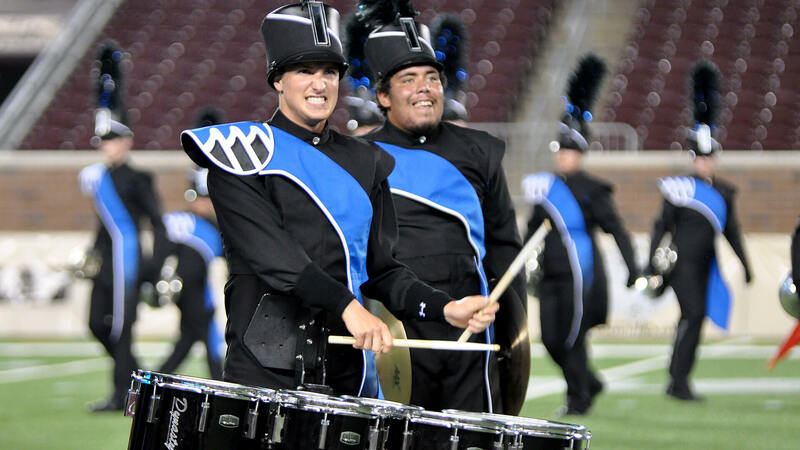 Drum corps season is not over yet, with the Drum Corps Associates (DCA) World Championships set to take place over Labor Day Weekend in Rochester, New York. Returning to its familiar home at Sahlen’s Stadium, more than 20 all-age drum and bugle corps from across the country will compete in several events scheduled September 4-6. Great tickets for this exciting series of DCA World Championship events are still available, and if you can’t make it to Rochester, select events will be webcast live on the DCA Fan Network powered by Drum Corps International. Individual/Ensemble & Mini Corps Competition + 2015 Street Party! Learn more about the DCA World Championships schedule of events. • The Reading (Pennsylvania) Buccaneers are once again off to a strong start this season with an undefeated record heading into Rochester. As the reigning DCA World Champions, the Bucs hold the record for the most DCA titles (13) in addition to a record for the most consecutive (six between 2005 and 2010). While finishing second in 2011, the corps has since rebounded, establishing a new three-peat streak (2012-2014) along the way. • At this point, however, the 2015 DCA Championship doesn’t look to be a runaway for any one corps. Keep an eye on the Hawthorne Caballeros. This New Jersey corps is a nine-time DCA World Champion and won the preliminary competition at last year’s DCA World Championship, before falling behind the Buccaneers in the Finals. The Cabs have come close to the Buccaneers at several events this year, finishing a half a point behind on July 11 in Clifton, New Jersey, and just five-hundredths of a point behind on August 15 in Scranton, Pennsylvania. • St. Paul’s Minnesota Brass is the one corps who has been able to deliver a knockout blow in recent years to the juggernaut Reading Buccaneers. 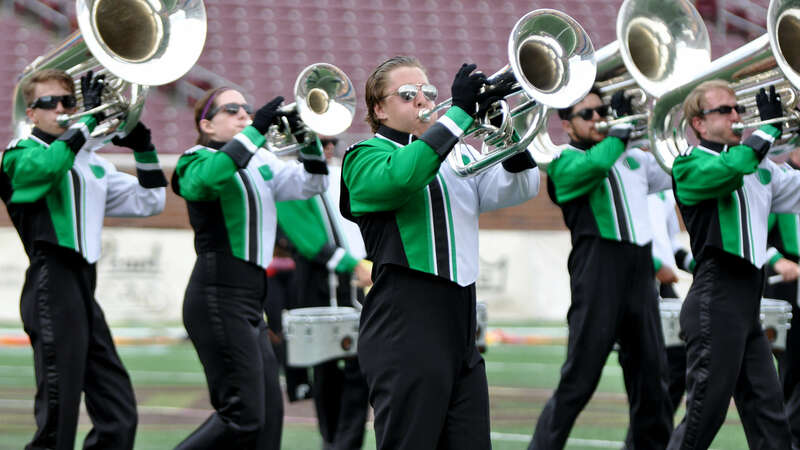 Snapping the Bucs’ impressive 64-event winning streak, Minnesota Brass grabbed the DCA Championship title in 2011 and hasn’t finished lower than third in the last seven years. • Cadets 2 is a relative newcomer to the longstanding Drum Corps Associates, an organization which celebrated its 50th anniversary last year. 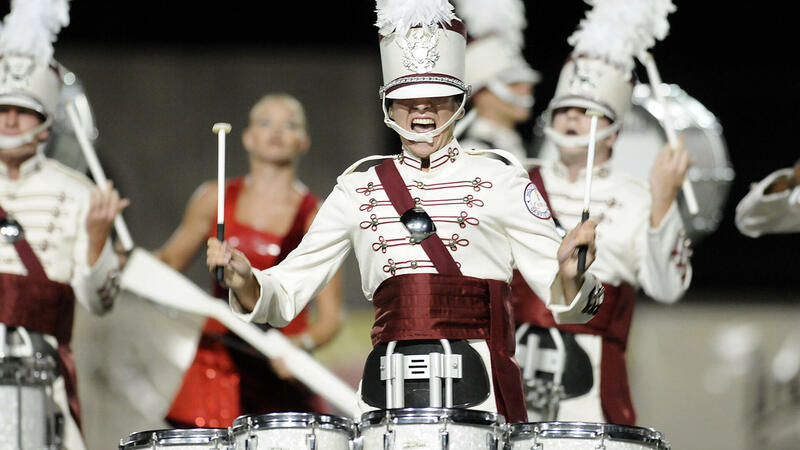 As the corps’ name implies, Cadets 2 has ties to Drum Corps International‘s Cadets, serving as a weekend-only regionally touring program of Youth Education in the Arts. The corps has finished in fifth place each of the last three years it’s competed at the DCA Championship and will be eager to jump a spot or two or three in the coming days. • 2015 will mark the return of two notable groups to Rochester. The Kidsgrove Scouts, an international ensemble from the United Kingdom, comes to the DCA Championship for the first time since 2012, and just the third time in the corps’ history. More than 200 people will be a part of Kidsgrove’s entourage, which includes performers, staff, friends and family along for the trip. Chops, Inc., one of three all-age corps located in Minnesota, also makes a comeback after successfully completing DCA’s evaluation for reemerging corps in the spring. Chops last attended the DCA Championship in 2008, and was the 2005 Class A Champion. • Speaking of DCA’s Class A, competition in this division that typically features smaller corps, also looks to be fierce over Labor Day Weekend. With the White Sabers of Dansville, New York moving into DCA’s Open Class after back-to-back Class A titles in 2013 and 2014, the door looks to be wide open for a new champion in 2015. The Govenaires will certainly be a strong contender with three Class A titles already under their belts (2006, 2009, 2011), but Alliance could be an unknown factor as the corps from Atlanta jumps divisions after competing in the Open Class for the last six years. For those who can’t make it out to Rochester, Drum Corps International will once again power live webcasts of select DCA Championship events on the DCA Fan Network. A $70 all-access subscription will give you access to the Prelims, Finals and Alumni Spectacular events September 5 and 6.